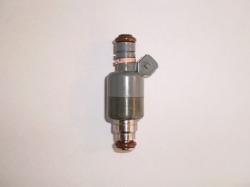 Not all injectors are created equal! There are some applications out there with problems. Here a list of some of those that don't squirt perfect all the time. 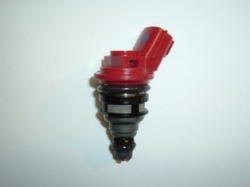 These injectors come in Nissan and Subaru in various colors. They suffer from electrical problems. The resistance will increase until they won't fire. Look for resistance in the 11 to 12 OHM range with the resistance within a few tenths of each other. When they fail they need to be replaced. These bad boys came in the early fuel injected Jeep 4.0 in line six cylinder engine and about 100% of them will develop fuel leaks where the metal meets the plastic. They are not repairable. These come in quite a few of the newer GM produced cars and truck and come in three lengths. The one illustrated is the short one. They are having problems with these plugging up and causing a misfire. The good news is they clean up well. Just send them in for service. 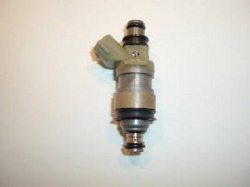 These injectors come in some of the V6 Toyota trucks and cars. They have electrical problems in increase in resistance until they quit working. Look for resistance to be in the 13 to 14 OHM range within a few tenths of each other. If they fail the electrical test they need to be replaced. 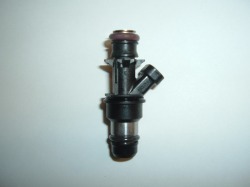 These are installed in the 1990 - 1995 4.5 and 4.9 Cadillac's. They short out and cause the engine to misfire. 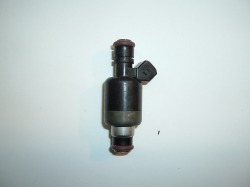 We replace them with a Bosch type two injector. Minimum resistance is 16.0 OHMs. 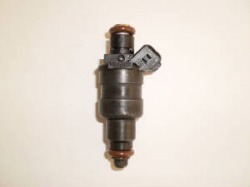 These injectors come in the 1996 - 2001 trucks. They start leaking after shut down and cause hard warm restarting. Service doesn't help these.